There was a time when blogging was just a hobby but today this hobby changed to a handsome way of earning money but only for those who has given enough time and energy for years. Most of the blogger prefer Google Adsense to make money and it’s a dream for every blogger to get Google Adsense Account. Google AdSense is the highest paying online advertising program and it works on CPM basis. There are more than 35 million sites who are using Adsense program and converting their hard work to money. There are many other affiliate programs but Google Adsense is on the top among all of them. There are many bloggers who are earning handsome money by just blogging. I am sure you guys were wondering that; is it possible? The answer is “YES! It’s Possible”. 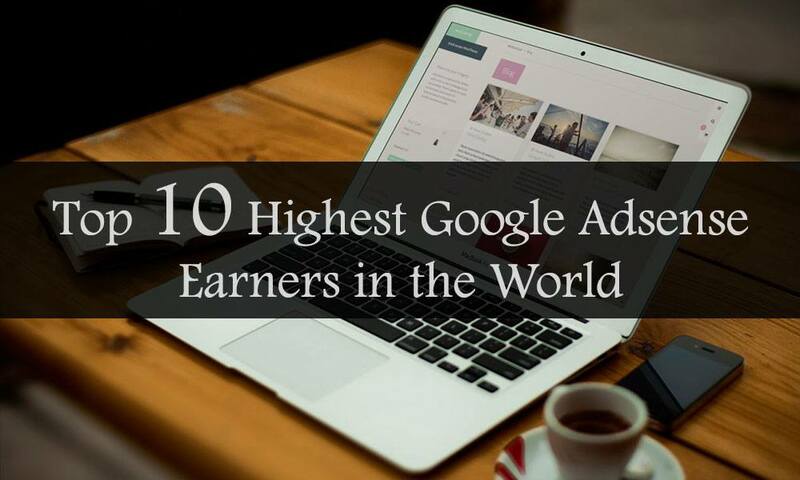 Here are some of the top 10 Google Adsense earner who make it possible to earn a handsome amount with Adsense program with their blogs. If you are also a new blogger I am damn sure that these bloggers will motivate you. Monthly page views: 16400000 and keeps increasing. Monthly page views: 82,000000 and keep increasing. Page views per day: 15,200,000. Monthly page views: 62000000 and keep increasing. Monthly page views: 59000000 and keep increasing. Monthly page views: 53,838,289 and keep increasing. Monthly page views: 34,200,100 and keep increasing. Monthly page views: 6,878,838 and keep increasing. Naveed is the CEO & founder of samsingapps.com. This Lahore based guy has a great position in the bloggers community of Pakistan. He started his website in 2009. He is earning handsome amount of money with presently one blog. He is very hardworking person but due to his low earning he got the last position in our list of top ten Google AdSense earners in the world. Monthly page views: 2,894,393 and keep increasing.